A powerful earthquake sent a series of moderate tsunamis toward Japan’s northeastern shore onTuesday, causing rivers in some areas to flow upstream. 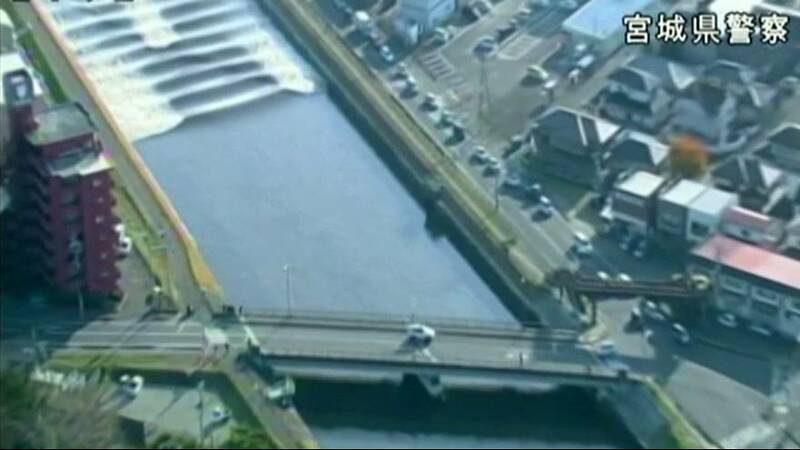 Footage provided by Miyagi Prefecture Police showed a succession of waves ascending the Sumioshi River in Tagajo city – one of the cities which was hit by a massive tsunami and quake in 2011. While the water remained within the embankment, for many residents it was eerily reminiscent of the 2011 disaster, when much larger waves rushed up rivers and overflowed, sweeping away houses and automobiles.